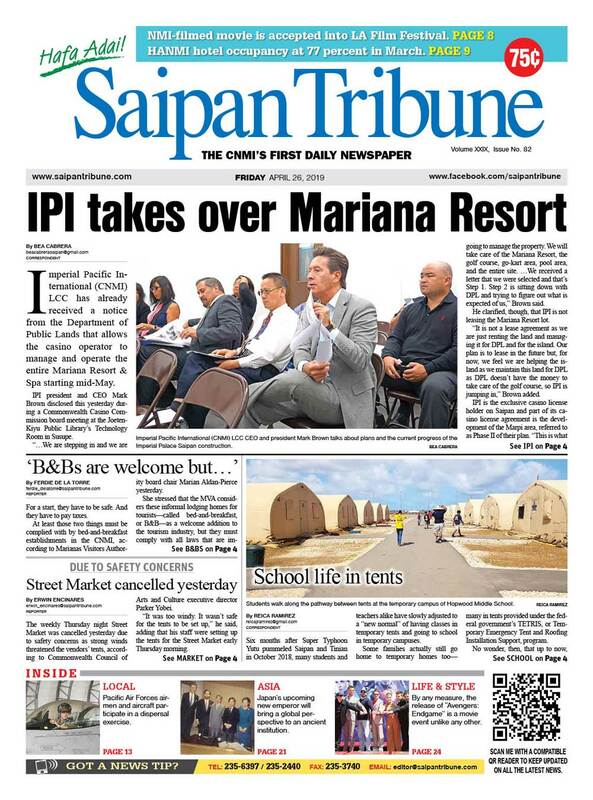 The CNMI Athletics Team showed a lot of promise in the 9th Micronesian Games in Yap, making Northern Marianas Athletics developmental coach Elias Rangamar excited for the future ahead of the Commonwealth’s athletes. 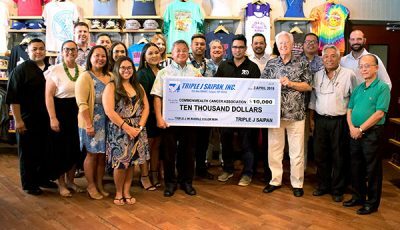 “We are satisfied with our team’s performance in Yap considering we have only a few months of training in the actual track and we have a lot of young athletes in the group,” Rangamar told Saipan Tribune. The CNMI collected 13 medals from the athletics competition with Rachel Abrams (high jump) and Zarinae Sapong (200m run) contributing one gold each. The athletics team also earned five silver medals and six bronzes. 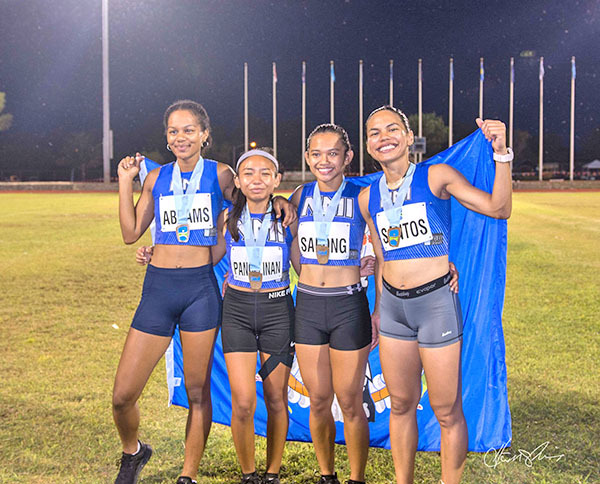 Young athletes Jamie Pangelinan, Jerlyn Castillo, and Therize Millare ran in the relays (4x100m and 4x400m) where the Commonwealth gained two bronzes. Tyler Santos, another U18 athlete on the team, also got a bronze in the 1,500m run, while Castillo notched a bronze, too in the javelin throw. Other medalists for the CNMI were Douglas Schmidt (silver in the triple jump and 400m run), Nick Gross (bronze in javelin throw), and Eleina Santos (bronze in 800m run and silver in the 1,500m). Sapong and Abrams added one silver each (from 100m run and 100m hurdles, respectively). “We have several young athletes on the team and they did very well in their events. I am excited for the future ahead of them, especially in 2021 when we host the Pacific Mini Games. 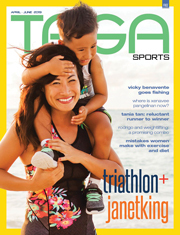 By that time, these athletes have matured and gained experience and they will be at their peak,” Rangamar said. The NMA official added that having the Oleai Sports Complex track and field facility back will definitely work wonders for the athletes’ performance in future competitions. “Remember in our early preparation for the Micro Games, we did not have the track and we have to improvise. Now that we have the facility, we will have more time to practice and do it in an appropriate venue, and encourage more athletes to come out and be part of the team for the 2021 Mini Games,” Rangamar said. 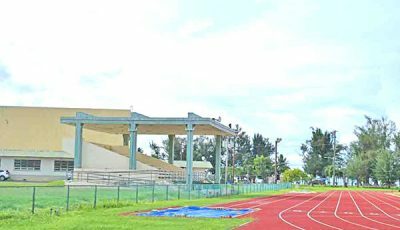 Resurfacing work at the track was just completed early this year, leaving CNMI athletes a few months to train at the facility for the Micro Games. Meanwhile, Rangamar is hoping that Commonwealth athletes get invites to compete in off-island tournaments so they could have more exposure and work on their continued development before joining the Mini Games three years from now.